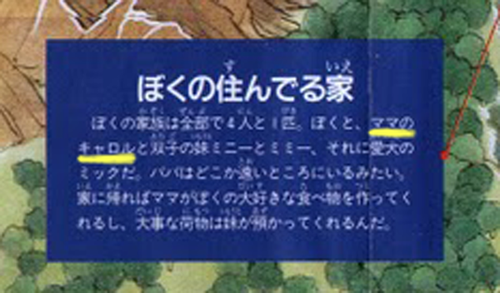 kenisu recently posted some translations from the Mother 1 manual, and it includes the name of the main character’s mom: Carol. I’ve got four people and one pet in my household: There’s me, my mom Carol, and my little sisters Minnie and Mimmie (they’re twins), as well as our dog Mick. I guess Dad’s out somewhere far away. Whenever I return home, Mom fixes me my favorite food, and my sister will also look after my valuable items for me. The parents in MOTHER 1 and 2 never really had names, so I guess we all just assumed that Ninten’s mom didn’t have a name. But it turns out this little detail’s been hiding in plain sight for years! Huh, unexpected tidbit. Never thought there’d be a named parent in Mother 1/2. Huh. Carol is the name I gave Ana when I played this game. Haha… that’s my mom’s name, and I’ve cosplayed as Ninten before. Nice bit of “hidden” data! lol, I always love when stuff like this is found in my favorite games-It’s like digging up a piece of hidden treasure-even if it’s a small tidbit like this. Thanks for sharing! I *feel* like I’ve heard this somewhere before. Jamais vu I guess. I have to wonder, given the Japan’s-take-on-Wonder-Bread-America style of the game, along with the flip hairdo she had in the Japanese version, if her having that name isn’t an intentional reference to Carol Brady. Possibly to Carol Brady (as that fits the time frame perfectly). I would buy that. I was thinking that Carol is a pun off of eight melodies being carols you sing, but I suppose the language barrier defeats that logic. Let’s be honest. Those “valuable items” Ninten’s sister holds on to are really just a bunch of NIB Ness amiibos. So Ness’ mom is the only one without a name i guess. It could be a reference to Carol Brady. But I fail to see how it “fits the time frame perfectly”, when The Brady Bunch aired from 1969 to 1974 and Mother 1 is supposed to be set sometime in the 1980s. I somehow already knew this as well. I remember reading about it somewhere, either on this site or sm.net many years ago.